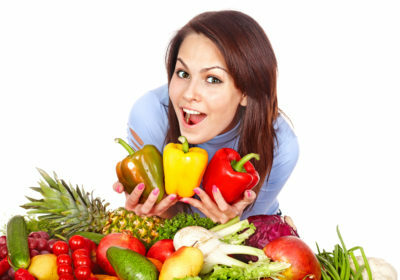 Many of us start a plant-based diet for health reasons. Documentaries such as Forks Over Knives and books such as Dr. Michael Greger’s How Not to Die outline the endless scientific research supporting the health benefits of plant-based eating, leading many of us to immediately change our diets for the better. And once we’ve removed animal products from our diets, we often feel such drastic improvements in health that we never want to go back to our old way of eating. But there is another contingent of plant eaters that has been abstaining from animal products for years, and their message is just as important. Many people avoid animal products because of the inhumane treatment of cows, chickens, pigs, sheep, goats, and other animals who are regularly used for human benefit. At this point, it’s no secret that in order for a chicken breast to reach your plate or a yogurt to reach your refrigerator, animals will first have to suffer through horrific conditions. We will let you research the details of animal abuse on your own, but trust us when we say it’s absolutely heartbreaking. Many people are aware of the inhumane treatment of animals, but they are afraid to switch to a completely plant-based diet. To most, the idea of never eating bacon or pizza again is not only scary—it’s downright depressing. While many passionate vegans may scoff at people who refuse to give up dairy or eggs, we understand the apprehension people have towards a plant-based diet. Food is such an important part of our lives, and nearly all of us grew up with animal products in our diets. Giving up the foods that have defined many of our best memories can seem like an insurmountable task. There is, however, a way to love your food without contributing to animal suffering. A proper plant-based diet—one filled with delicious breakfasts and desserts, mind-blowing soups and salads, and flavor-packed entrees—has helped hundreds of thousands of people around the world improve their health while simultaneously helping to protect animals. The diet is a win-win on so many levels. In 2016, we have access to food on a scale that has never been seen before. Is your favorite food sausage pizza? Daiya makes a plant-based alternative. Are you an ice cream fiend? So Delicious distributes a variety of flavors using coconut milk, almond milk, soy milk, and cashew milk. Nearly any food you love can be replicated with just plants. And animals will never have to suffer as a result. At Nature Has Flavor, our goal is to contribute to the vegan movement by providing people with the cooking skills and ingredients to stay excited about healthy plant-based food. With the basic cooking instructions and recipes you’ll find in Nature Has Flavor: Cooking Your Way to a Healthier Life, you’ll turn your kitchen into a five-star plant-based restaurant with an ever-expanding menu. Our Balsamic Vinegar—barrel-aged for several years in Modena—will make your salads the highlight of your day. Our BBQ Rub, carefully crafted by Chef Liron Meller, will help you discover the wonders of plant-based grilling. And the incredible fragrance of our Truffle Infused Extra Virgin Olive Oil from Italy will permeate your home as you prepare meals that will satisfy your taste buds and warm your soul. The path to helping end animal suffering doesn’t have to be a difficult one. We can’t wait to help you undergo your healthy new journey.